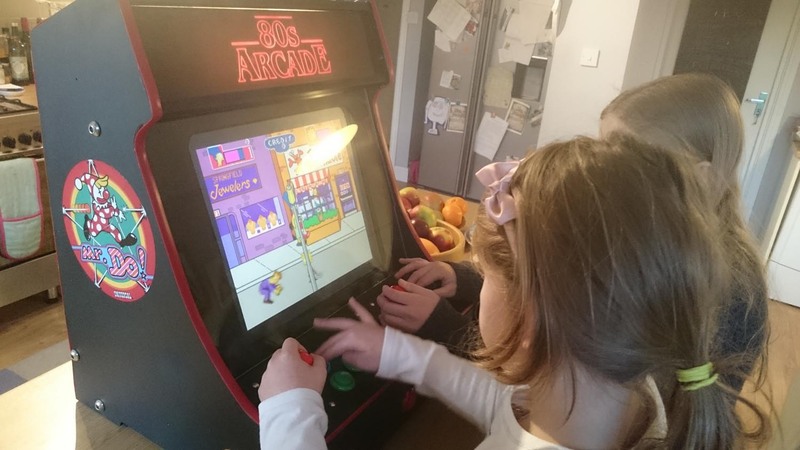 I convert my old Ion iCade into a Bartop Raspberry Pi Powered Arcade Machine! 'How to' guide inside. IT'S FINISHED! I'm going to start back on this at the weekend. Going to have to take the stick part apart again to widen one of the button holes as it makes the button stick at the moment. While I'm at it I think I'll replace the octagonal gate with the square one as I actually found the octagonal to be really hard to use in games like Street fighter. Rex, how is the marquee part attached to the body? That looks superb, Rex. How much did it cost overall to get it to that finished state? Probably about £150 though I had an old monitor, 2.1 speaker set and the blackberry already. Most expensive thing was the cabinet which I bought flat packed and pre-cut from Ebay for about £80. If you had the skills and the tools (I had neither) then you could do it for less by just buying MDF and cutting it down. Stick sets were about £15 each (just bought cheapo ones). It meant I could hide away in the garage for hours at a time away from the wife and kids. I can see the attraction of a potting shed at the bottom of the garden now. It's my dream to convert my currently-full-of-junk garage into my own personal retro arcade. Preezy wrote: It's my dream to convert my currently-full-of-junk garage into my own personal retro arcade. With the availability of fairly cheap tablets with good and large screens getting even better you should be able to make quite a nice set-up. As a kid I used to do AD&D game sessions in our garage and you'd be surprised just how little heating you need once you get a few people in even our rather large garage. You could always do away with the need for getting more electrics in by using electric camping lighting and pretty much the most expensive aspect should be having somewhere nice to sit and a nice table for coffee/beer. The hardest part will obviously be the initial clean-up as I don't know about you but after 20 years since I played AD&D the amount of gooseberry fool in my garage is terrifying. Once you have a blank canvas of an empty room I think you'll be pleasantly surprised just how little you need to spend to turn it into a space you can use. Plastering to walls is a good idea but a decent masonry paint would save you a small fortune and at least give you something better to look at than brick. We have an entire new bathroom suite in ours ready to be fitted in the house once we can be bothered. We got it at the same time we got the extension which added an extra bathroom and bedroom (The new set is for the original bathroom) and we're just a bit tired of builders being in after a 5 week build for an entire new section of the house going on. That's about 10% of what's in the garage . So just a weekend job rather than an afternoon? Boy am I glad I bumped this thread. Guys, the Mrs wants to paint the downstairs toilet in Wild Primrose, but I think Buttermilk would be better. Poser wrote: Guys, the Mrs wants to paint the downstairs toilet in Wild Primrose, but I think Buttermilk would be better. 1st thought - I didn't know Newcastle had inside toilets let alone downstairs ones. Paint it jet black and have a black light installed. It'll be like having a poo in space. 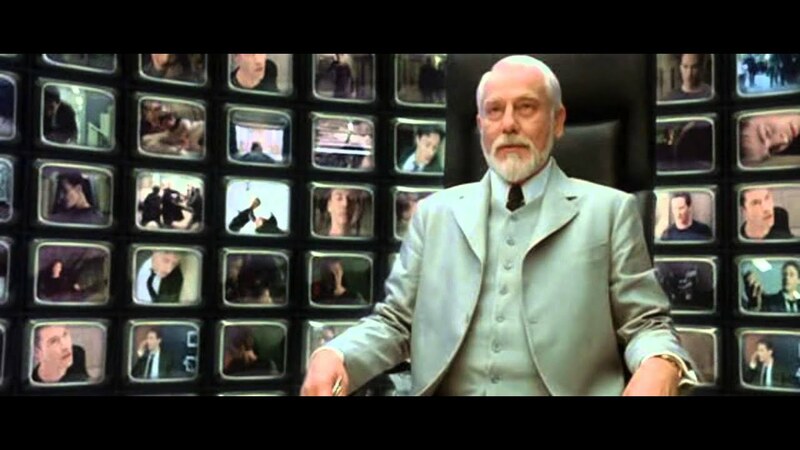 Alternatively cover the walls with the cheap kindles and you could try and recreate this scene from the matrix. Worst “I am so posh I have two toilets” post ever. Don’t bother painting it at all, just have it filled wall to wall with arcade cabinets.